Located in the Magra/Black Hills area outside of New Norfolk the Mount Dromedary walk is a leisurely medium difficulty walk offering distinctive views east along the Derwent River, including Mount Direction. 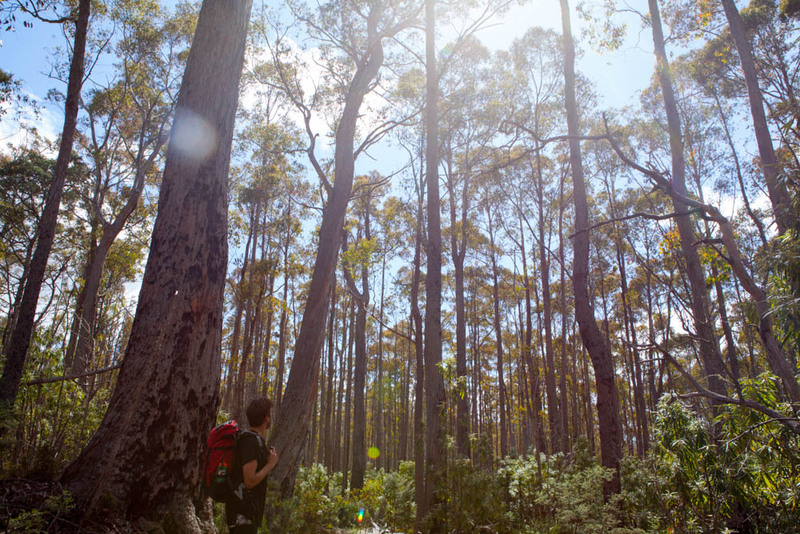 This 4-hour walk follows fire trails and forestry roads for its majority with only one significant climb required towards the summit. 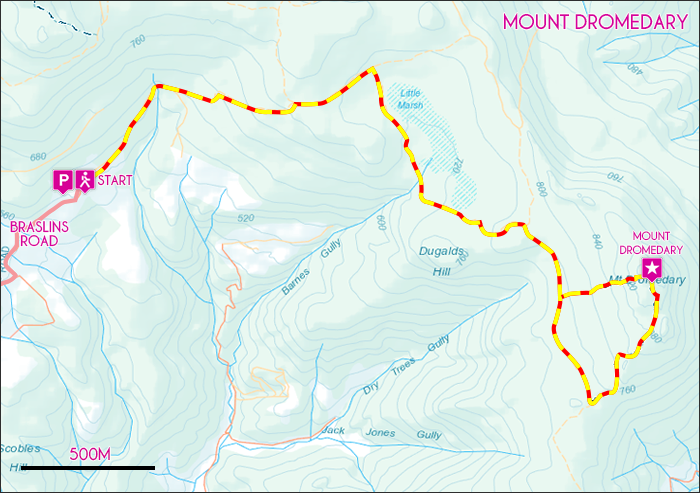 View Google Map Directions The Mount Dromedary walk begins just north of New Norfolk and is not indicated on any road signs along the way. From Hobart, head northwest on the Brooker Highway (A10) to New Norfolk. Once at New Norfolk, turn right onto the Lyell Highway at the roundabout. Directly after crossing the bridge take the first right onto Back River Road and continue for 8km before turning left onto Black Hills Road. Keep on this road, turning into Braslins Road after 1km. The walk begins from the locked gate at the end of Braslins Road road. There is a small carpark available. Note: This guide suggests the route south of Little Marsh to Mount Dromedary. There are many different tracks and trails scattered below the summit and it is important to be aware of your own surroundings while doing this walk. There is also no water available on this trail. The Mount Dromedary walk begins from the gated section of Braslins Road. From here the trail gentle climbs along the private forestry road past many unfortunate remnants of human activity. After 30 minutes of walking, the first track junction is met. Left continues to Platform Peak (a longer loop option) and right to Mount Dromedary. 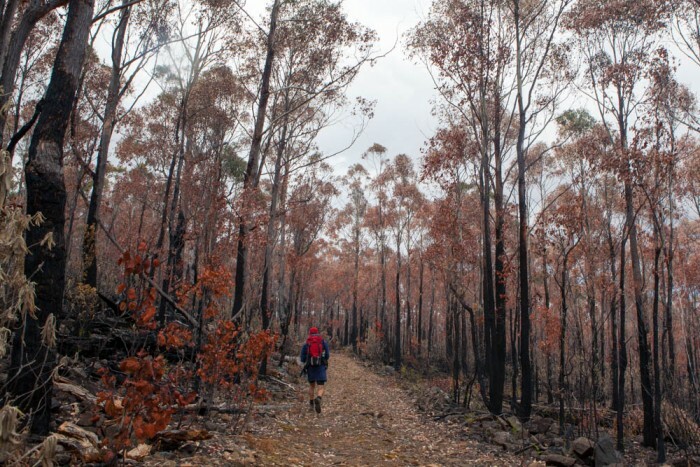 Continuing right to Mount Dromedary, the trail passes through sections of scorched dry sclerophyll forest before eventually reaching another junction. Take the right-hand fork again and continue with the summit of Mount Dromedary above you to the left. This slightly longer route past the summit takes you to the eastern lookout ascent. After about an hour take the left hand turn off that climbs towards the lookout. Leaving the main gravel trail, the walk is steeper and more rugged but is easily followed for another 30 minutes. 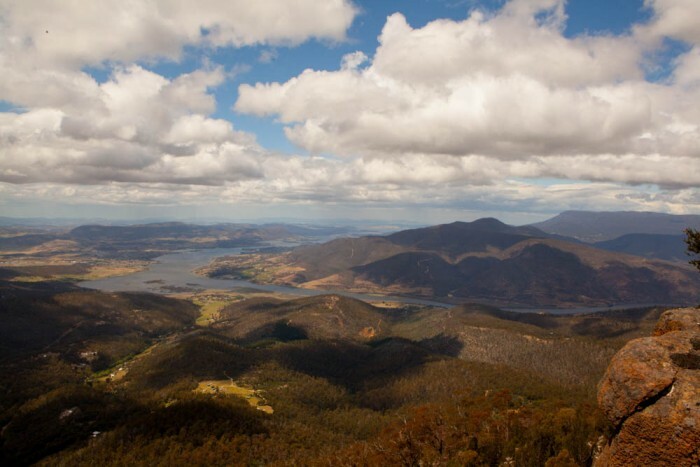 At the top, the lookout provides expansive views including the Derwent River and Mount Direction. From here the summit can be seen and is quickly reached after a short scramble. The descent from the summit continues from the western side and after a tricky climb down the main gravel trail is met again. From here retrace your steps back to the carpark.